We're now well into the 21st century, and it's time for energy technology to reflect that. 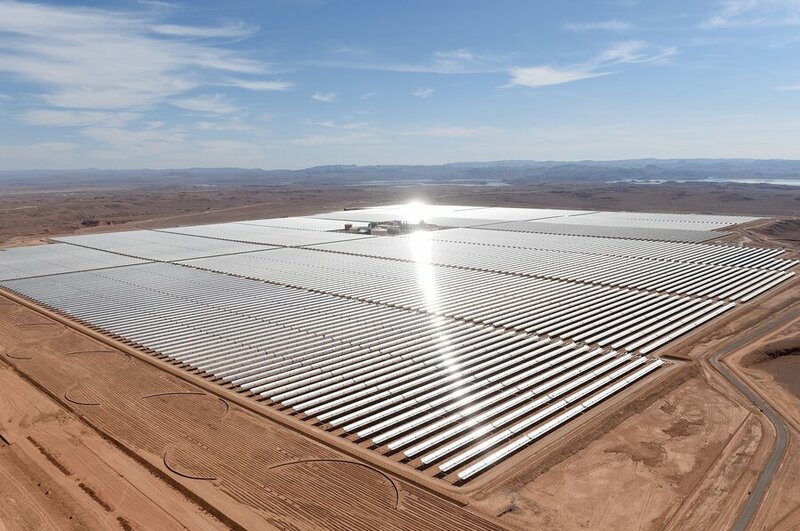 On Thursday, a major leap was made by Morocco, who became the nation that put the world's largest solar power plant online. Who says you can't grow anything in the desert? Noor 1 has officially begun harvesting solar energy. According to the Guardian, the installation's first phase, known as "Noor 1" and located in the town of Ouarzazate on the edge of the Saharan desert, went live this week when King Mohammed VI of Morocco personally hit the "on" switch. Noor 1 will create 160 megawatts of power - only a fraction of the 580 megawatts anticipated when the full system goes live upon completion in 2018. Once finished, the array will cover 6,000 acres and provide power for over one million citizens. It is a big step towards powering over half of Morocco via sustainable energy - a goal the nation hopes to accomplish by 2030. Noor 1 is currently producing enough power to aid some 650,000 citizens, from dawn until three hours after sundown. Shining up the solar panels = maximum sunshine collection. According to The Verge, the power plant is currently comprised of 500,000 curved mirrors, each 40 feet in height. These heat a fluid-filled pipeline that runs beneath them, which in turn heats water to generate steam, which makes turbines turn to create energy. The accrued heat energy from the mirrors can be stored in vats of molten salt, allowing for the after-hours power. Climate Investment Funds speculates that if 5 megawatts more of solar electricity could be secured, it would drive down regional electrical production costs by 14%. Were 15 megawatts to be created, it would lowers costs by 44%. It will also save Morocco from hundreds of thousands of tons of unnecessary carbon emissions. It's dusty enough in the desert...no extra smog needed. Morocco adapted well to its own dependence on imported electricity, which used to be 97% outsourced. However, with a 7% annual increase in energy expenditure demands, and oil prices constantly rising, they stepped up their power game. Regulations were put in place, goals were decided, and now, the nation claims to be on track to have 42% of their power generated from various renewables by 2020. 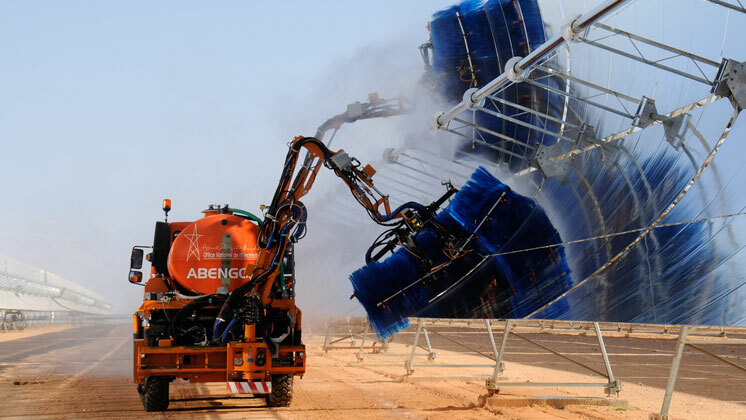 The country’s energy minister, Abdelkader Amara, was so enthusiastic about Morocco's initiative that he explained, "...We will prove that we can match our energy demands with renewables,” to the Paris climate change conference last December. May they rise to the challenge with the intensity of several suns. 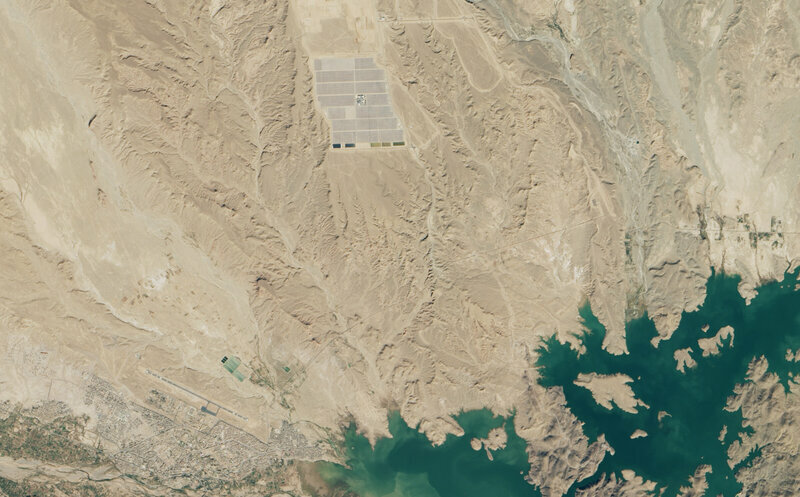 It's the world's largest solar plant, and it can be seen from space. Pretty good futurism for a tiny African nation.